Sale of a beautiful contemporary Villa of 230 m2 in a private and secure field on a plot of 2500 m². This property is located on the heights of the port of Grimaud with a splendid view of the sea and the hills. This sumptuous property consists of: a ground floor: Large living room with dining room, a kitchen enjoying the terrace with pool enjoying exposure south. In RDJ: Two rooms with each one its room of shower, 2 other rooms sharing a room of shower and two separated toilets. You will enjoy the infinity pool 8x4m giving an extraordinary view on the Gulf of Saint Tropez. Not far from the Golf de Beauvallon, you will enjoy its 18-hole course in a warm and class environment. 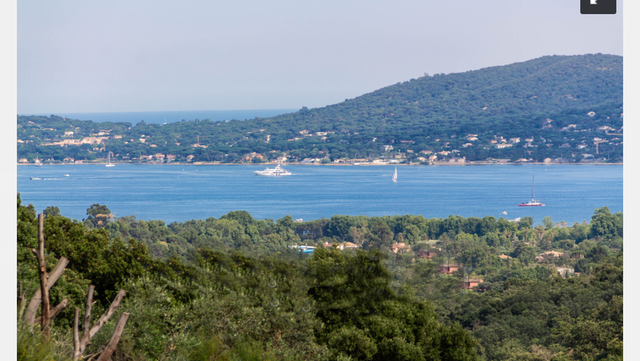 Come and discover this sumptuous Villa in the heart of the Gulf of Saint Tropez.